I’ll let you in on a little secret: I want to be a world changer! Stated more specifically (and with a lot more words! ): I want to leave a lasting legacy of equipping fathers with better tools to intentionally and consistently pursue their daughter’s hearts, resulting in a culture that is influenced by healthy women who love with passion and lead with strength. Donning the cover was a beautiful African-American woman by the name of Ava DuVernay who was noted to be the first black women to direct a film nominated for a Best Picture Oscar. Though I'd never heard of her, I was thrilled that she was being honored publicly as a significant female influencer. And under Ava’s picture, there was a list of numerous other women who were highlighted as firsts in their respective fields. These women ranged from military heroines to those with financial success to brilliant entrepreneurs to accomplished athletes to governmental officials and on it went. 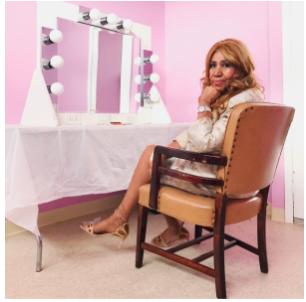 Among those noted as powerful change-makers were Oprah Winfrey, Aretha Franklin, Barbara Walters, Sheryl Sandberg, Selena Gomez, Serena Williams, Madeline Albright, and so many others. As I opened each page in the magazine, I was inspired by courageous women who ranged in age from 16 to 87, all who didn’t let the glass ceiling hold them back. I was intrigued to read that many of these women credited those who sought to stop them in their pursuits as being motivators in their stories. (Now that’s the epitome of resilience!) And although some of them talked about struggling to find their place “in a man’s world,” it was incredible to hear how many of them were championed by men in their lives. But beyond talking about the impact of supportive men in general, many of these world changers noted that she had a dad who played a huge role in her success. For some reason, that piece of information caught me by surprise. And even though I spend much of my time focusing on the dad-daughter relationship, I wasn’t expecting these high achievers and national icons to talk about their father’s influence. Yet I was beyond excited to read about powerful women whose dads celebrated them! 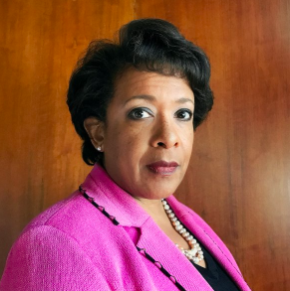 Loretta Lynch is the first black woman to become U.S. Attorney General and she recalls how her father, a Baptist minister, defied convention when he invited women to preach at his pulpit. Clearly this was not the norm back in the 60’s and 70’s. That is honestly one of the most powerful ways I’ve ever heard to frame the way that a father directly influences his daughter: Dad heard the possibilities and continued to encourage. Daughters need their dads to HEAR the possibilities they don’t HEAR. And daughters need their dads to SEE the possibilities they don’t SEE. In other words, we daughters need to borrow our dad’s wisdom and insight and belief in us until we are able to own it for ourselves. Dad, if you want to raise a confident daughter who believes in herself and steps forward to change the world around her for good, be assured that you are part of that equation and your input really does matter in the big scheme of things. Here’s your challenge today: Look for something specific in your daughter that you can highlight and celebrate, something that makes her smile and light up, even if she’s not good at it yet. Especially if she’s not good at it yet. (She has to start somewhere, right?). And when you help your daughter hear the possibilities she can’t yet hear and see the possibilities she can’t yet see, she’ll have what she needs to become a formidable young woman who believes that anything is possible because she’s got you in her cheering section!